Apart from the broad spectrum of data types, C++ supports arrays. This data type is useful when a group of elements are to be represented by a common name. An array is a group of elements that share a common name, that are differentiated from one another by their positions within the array. An array is a collection of homogeneous data. An array must be declared, since it is basically a variable. This example describes an array of 5 integer elements and the elements are numbered starting with 0. Each element is accessed by the array name followed by its position in square brackets. This position is known as the subscript, thus each array statement is a subscripted variable. Therefore, you would have: mark mark, mark, mark, mark and mark. One Dimensional Array is a list of data items that can be given one variable name using one subscript and such a variable is called a one dimensional array. The array storage starts from 0 and hence the loop termination is i < 10. The second loop is to display the 10 integers. An array can be initialized along with its declaration. will declare the variable count as an array of size 3 and will assign zero to each element. Note that this declares a static variable. The size parameter may be omitted. In such cases, the compiler allocates enough spaces for all initialized elements. Then score represents the marks of the first student and score the rank of the first student. C++ allows us to define such a table of items by defining a two dimensional array. As with the single dimensional array, each element of the array is indexed from zero to its maximum size minus one, the first index stands for row and the second index for column. C++ uses the row major arrangement to access the elements of the array - first number represents the row and the second number represents the column. will declare a table of 3 rows and 2 columns. Initialization: Similar to the one dimensional arrays, two dimensional arrays can also be initialized. The inner braces are optional, but it is good practice to use them, as they improve the readability. Multidimensional Arrays C++ permits arrays of more than two dimensions. 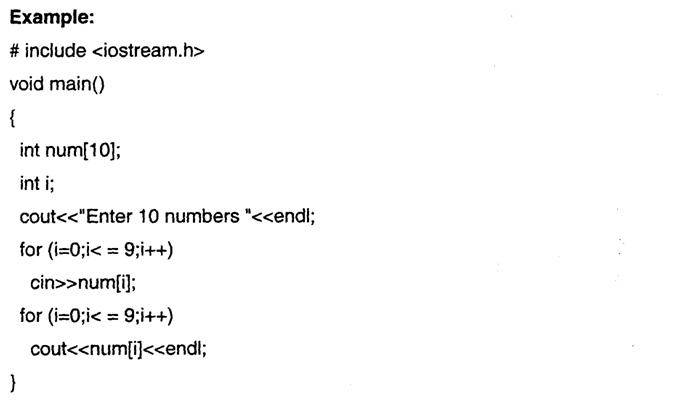 The maximum number of dimensions depends on the compiler. All data and information provided on this site is for informational purposes only. The information is provided to help the self learners. http://www.lessons2all.com makes no representations as to accuracy, completeness, suitability, or validity of any information on this site and will not be liable for any errors, omissions, or delays in this information or any losses, injuries, or damages arising from its display or use.